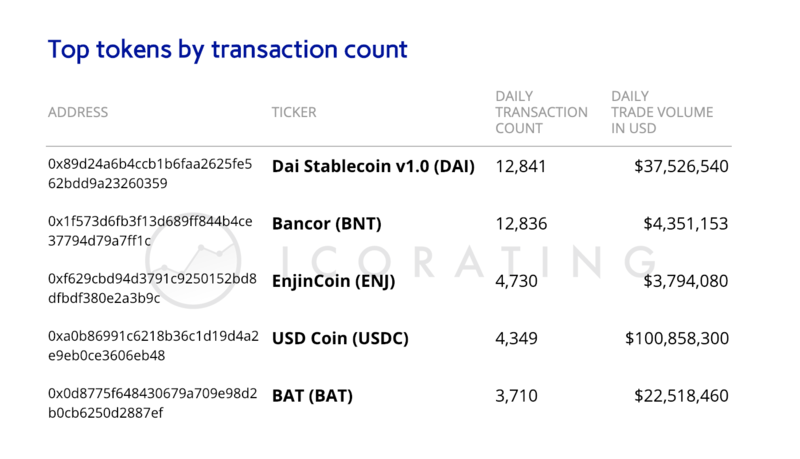 Top tokens by transactions count in the Ethereum blockchain for Feb, 19 were DAI, BNT, ENJ, USDC and BAT. The stats – i.e., how much times users sent the given token – may serve for examining the tokens’ utility. All this may help to see the market trends and community interest.